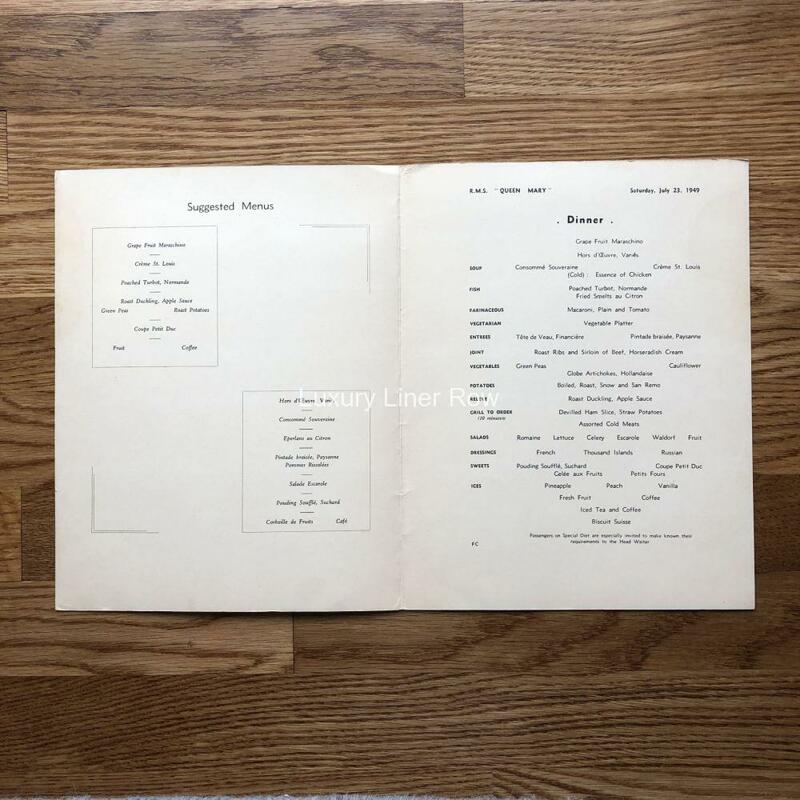 Dinner menu from Saturday, July 23, 1949. 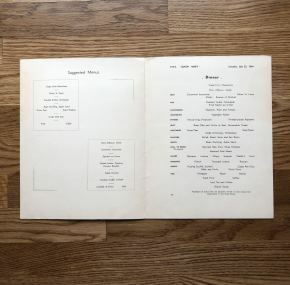 I usually don’t carry things like menus unless there is something special about them. In this case, it’s the cover! 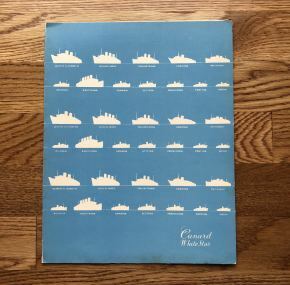 The entire Cunard fleet is shown in silhouette, and in just a few months, Aquitania would be retired. 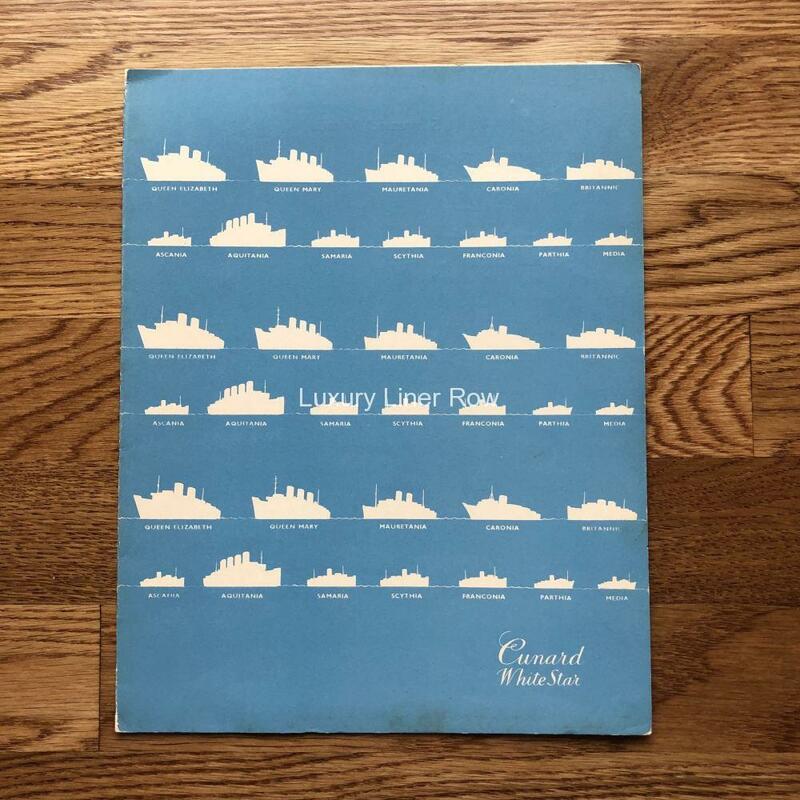 One of the best covers Cunard ever did.